When you walk along the Voortrekker Road corridor and survey the surrounding area, it all seems chaotic. It’s easy to imagine an internal compass guiding the daily comings and goings of the Mother City. Beautiful though that idea is, it’s not quite accurate! What many citizens may not realise is that behind the scenes there are organisations working together to make everything run as a cohesive unit. We, as the VRCID, often work with smaller organisations on grassroots initiatives. Our closest working relationship, however, is with the Greater Tygerberg Partnership. 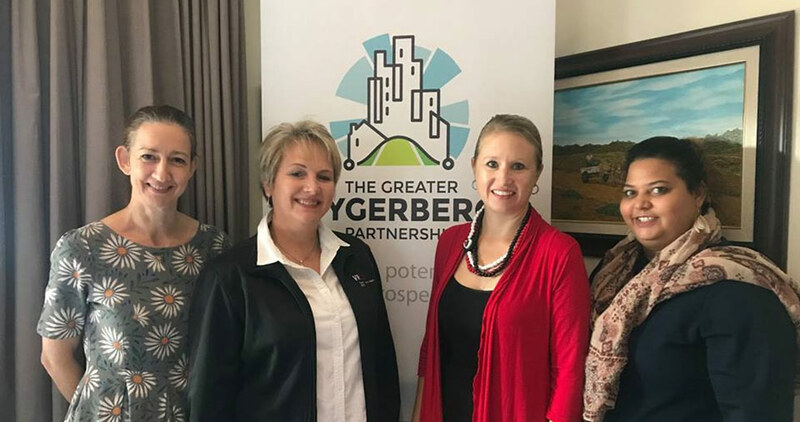 The Greater Tygerberg Partnership is a non-profit organisation (NPO) whose prime objective is to promote the greater Tygerberg area. The boundaries of their catchment span a vast area, stretching from Goodwood to Stikland and from Khayelitsha into the Tygerberg Hills, including the northern urban areas. The organisation engages with stakeholders, investors and property owners to secure investment. How do the VRCID and GTP work together? Thanks to the VRCID’s Public Safety Officers and Cleaning staff, we are able to assist the GTP in a very practical way. On the flipside, as the GTP displays the merits of the area, more businesses invest. This creates job opportunities and drives greater economic growth and transformation, all of which help further our goal of building and sustaining a healthy community. In the past we have joined hands on the Heritage Festival, a five-a-side football competition, and an award ceremony honouring small businesses and other role players in the area. Recent collaborations include projects such as the Waste Picker Project and Recycle Projects in the Bellville CBD. What adversities have the GTP and VRCID overcome? The biggest challenge for both the GTP and VRCID over the years has been funding. Thankfully, the GTP recently secured a three-year funding grant from the City of Cape Town, which secures our ability to continue good work in the area. How can the public support the work of the GTP and VRCID? Public taking time to understand and invest in our institutions is vital. We want to build a healthy community with the people who live and work here. We encourage the public to attend events hosted by the GTP and VRCID, and discover the projects being run. We also advocate responsible giving to shelter homeless organisations in the area, and various VRCID affiliated NGOs in the area seek volunteers. If you can spare some money please donate it wisely, and if you have free time please consider using it with a partner organisation to help develop our area. On a simpler level, just sharing on social media information about the amazing events and projects happening creates awareness and excitement. We are so proud of the area, and anything you do to promote this environment could attract investors and businesses, which in turn will allow us to run more development initiatives.